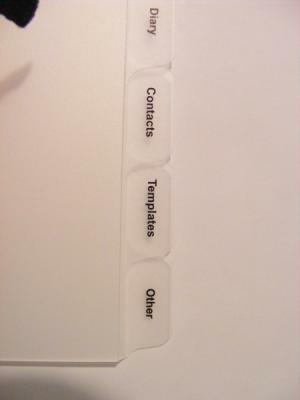 Custom PVC Tab Dividers, Custom Polypropylene Tab Dividers, Custom Card Tab Dividers plain or custom index dividers printed to your specification. When putting together your presentation the finishing touches like the index are all too important. 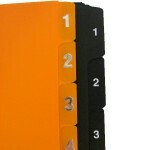 Our tabbed dividers are perfect for the organisation of your report or manual. 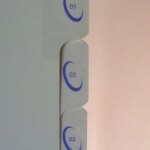 Our custom Tab dividers are manufactured from card, PVC or polypropylene. 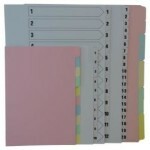 In addition to custom tab dividers we are able to offer tabbed file dividers from stock with quick delivery. 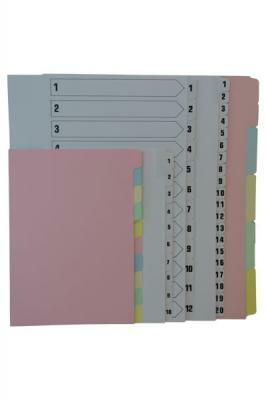 The stock file divider range is in either white or coloured card. 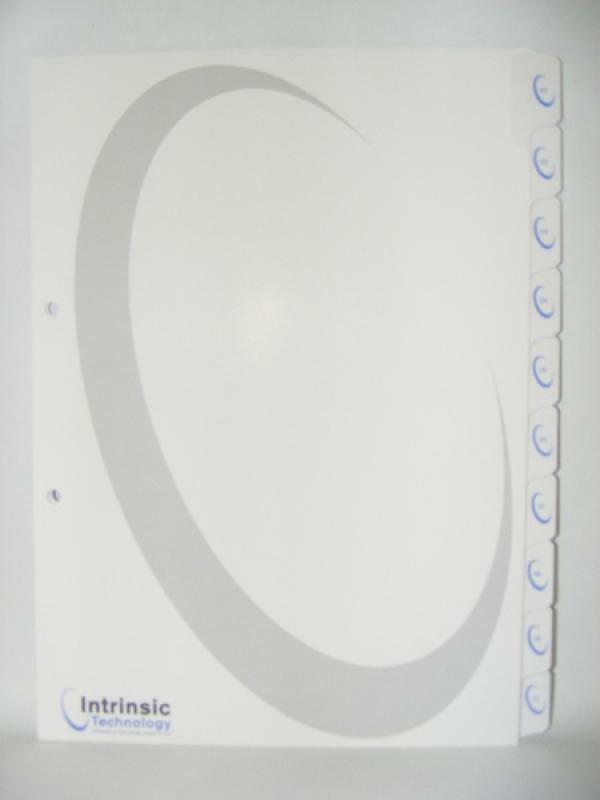 PVC Tab Dividers to compliment your presentation binders are available in a wide range of colours and sizes from A4, A5 and A6 or manufactured to customer specification by printing on tab or tab and body in single or full colour. Polypropylene Dividers are available in Clear Frosty or a wide range of colours and sizes from A4, A5 and A6 or manufactured to customer specification with printing on tab or tab and body in single or full colour. 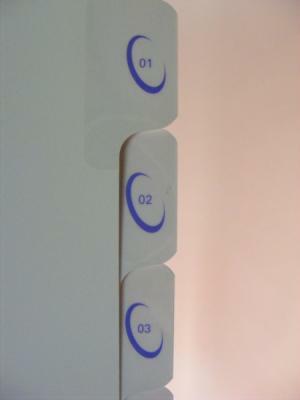 Card Tab Dividers are available in a wide range of colours and sizes from A4, A5 and A6, manufactured to customer specification with printing on tab or tab and body in single or full colour. 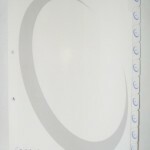 A4 and A5 White card dividers are available from ‘Stock range’ which can be despatched quickly. 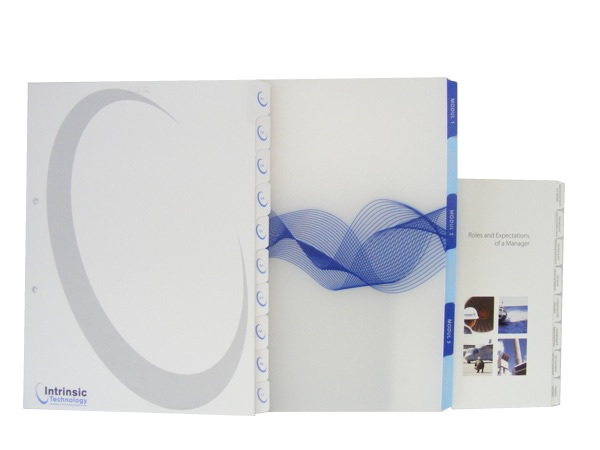 These indexed tabbed dividers are produced on quality white card 230 micron. 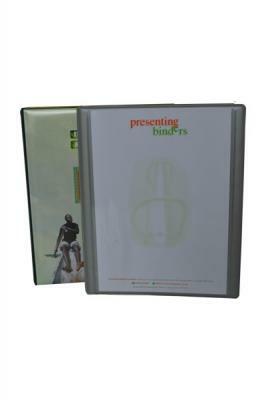 All our file dividers can be printed single colour, full colour or foil blocked on tab or tab and body (face of divider). 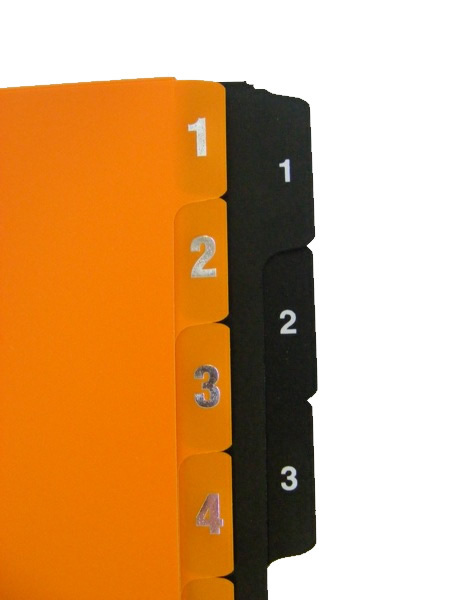 With a variety of colours and thicknesses your dividers can be personalised to your specific requirements.